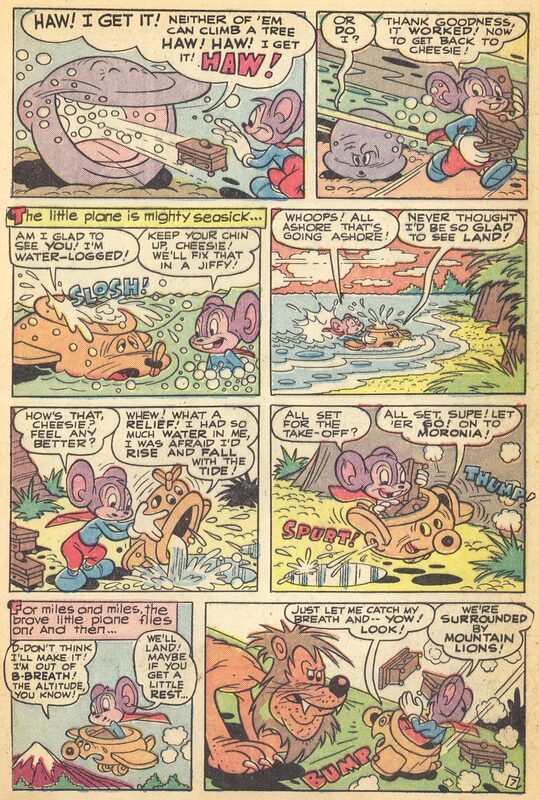 Funny animal comics don’t get enough respect. 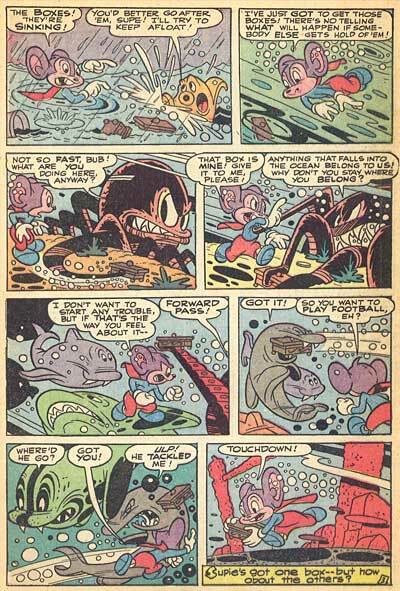 Many incredibly talented artists worked in funny animal comics… some, like Kurtzman and Frazetta, went on to fame in other genres. Yet the only artist working in this field that most people are familiar with is Carl Barks. 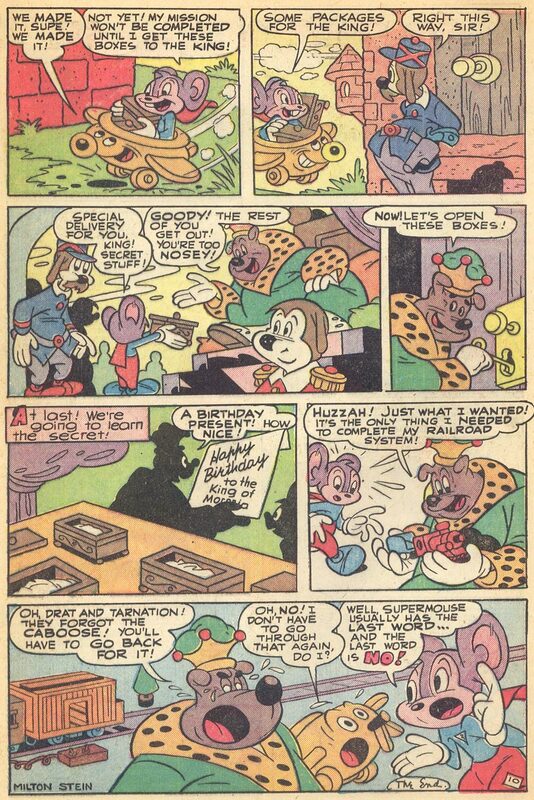 Uncle Scrooge comics are fine, but they’re just the tip of the iceberg. 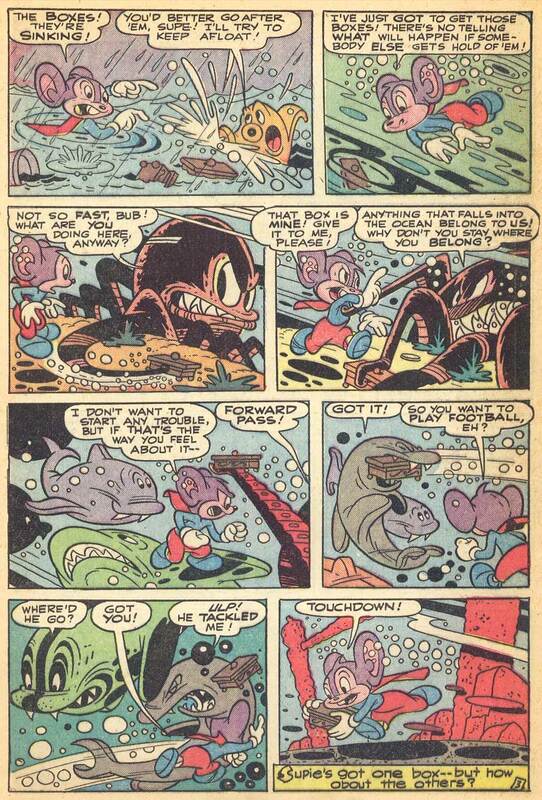 In the 1940s and 50s, there was a wealth of funny animal comics all drawn in completely unique styles. 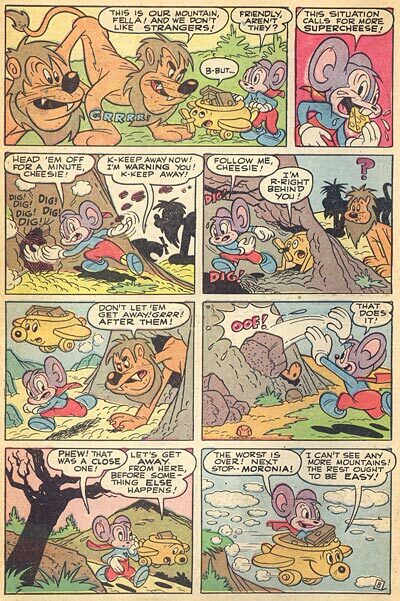 I have to admit that comics aren’t my strong suit, but when I see a comic like this one, I want to know more about the people responsible for them. 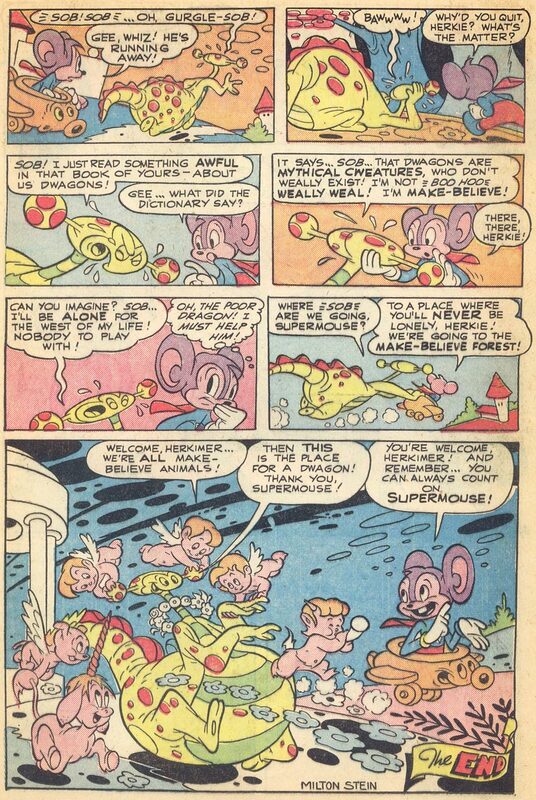 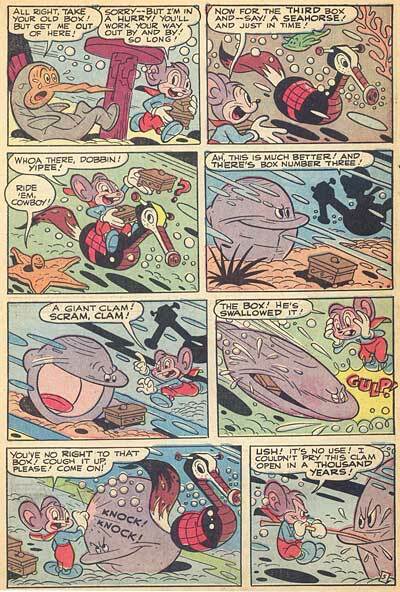 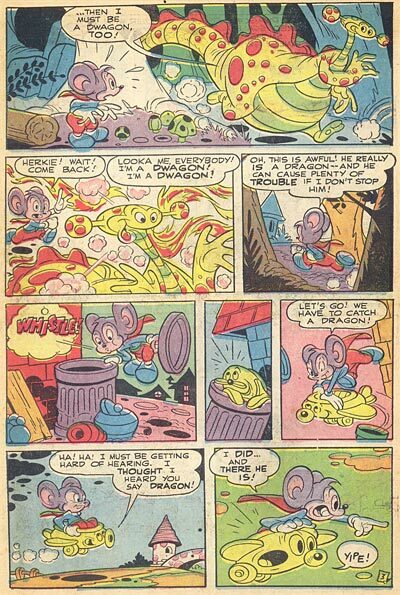 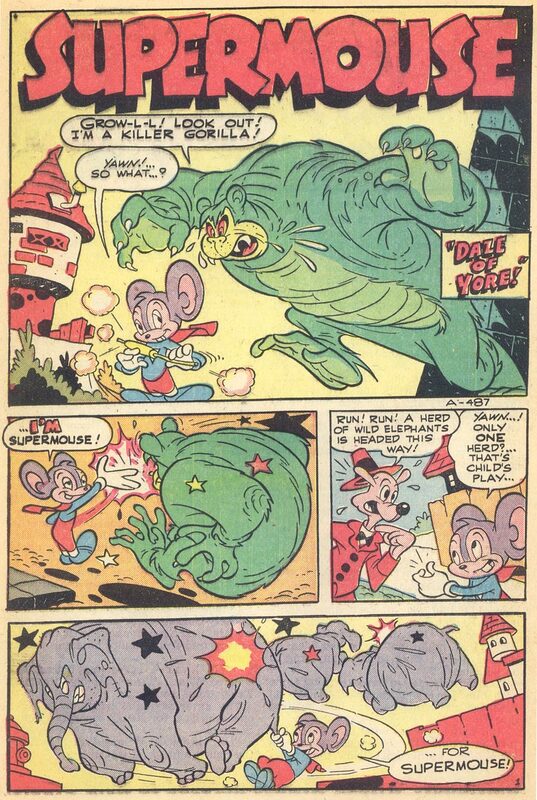 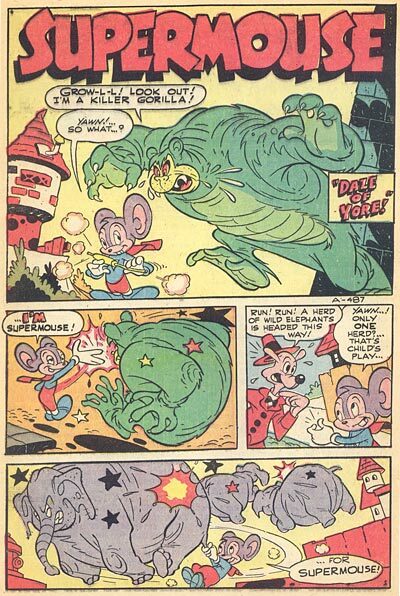 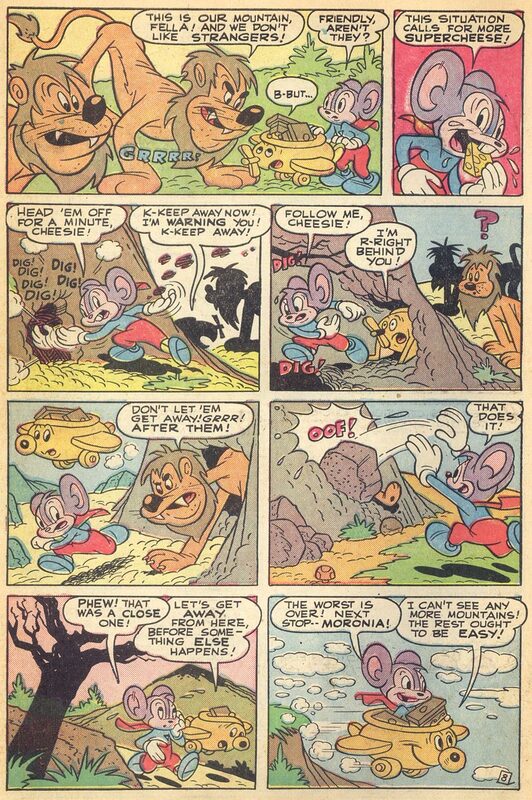 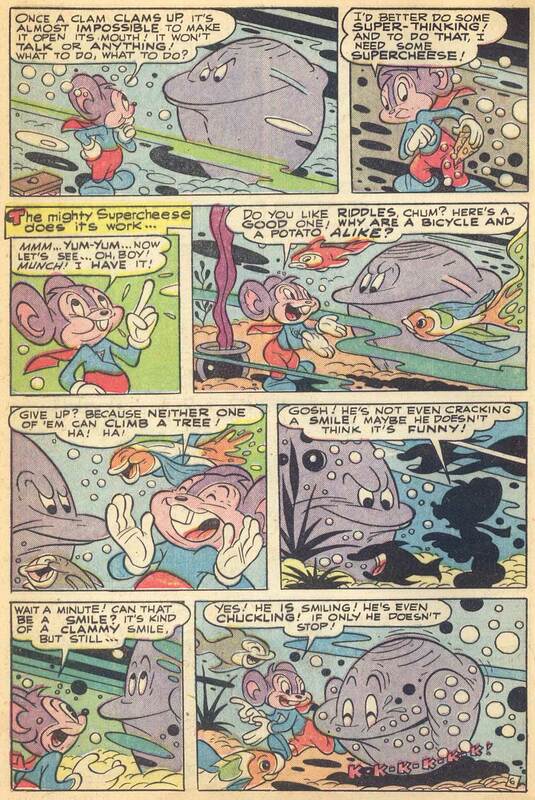 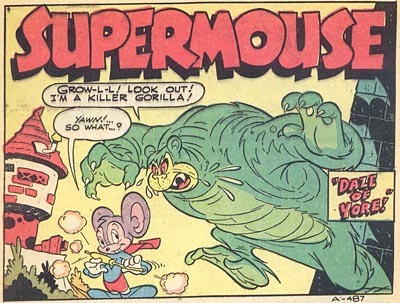 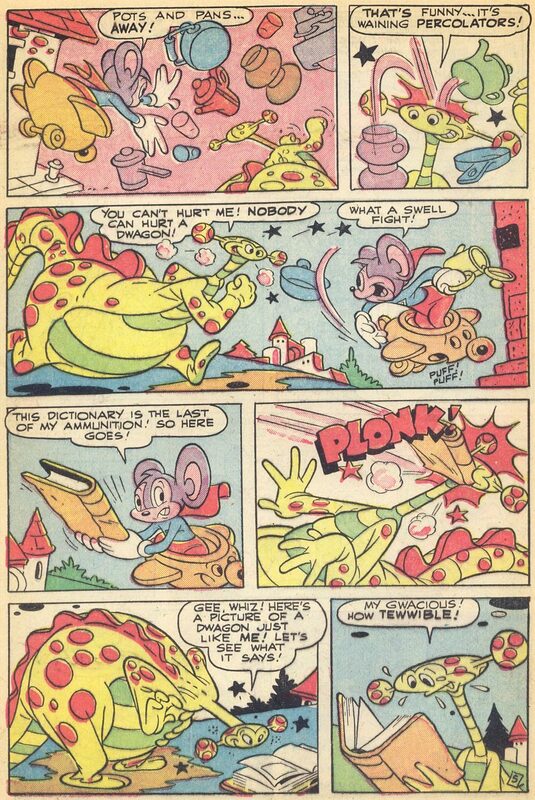 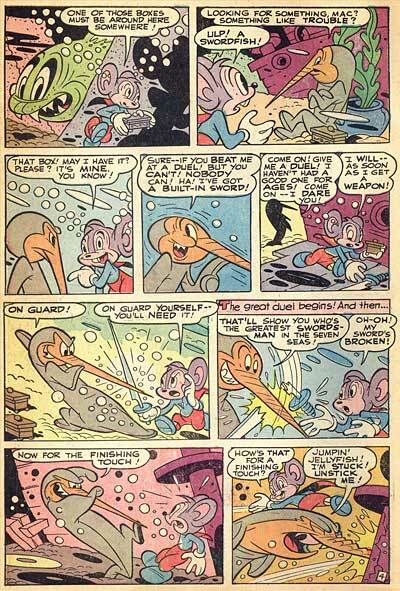 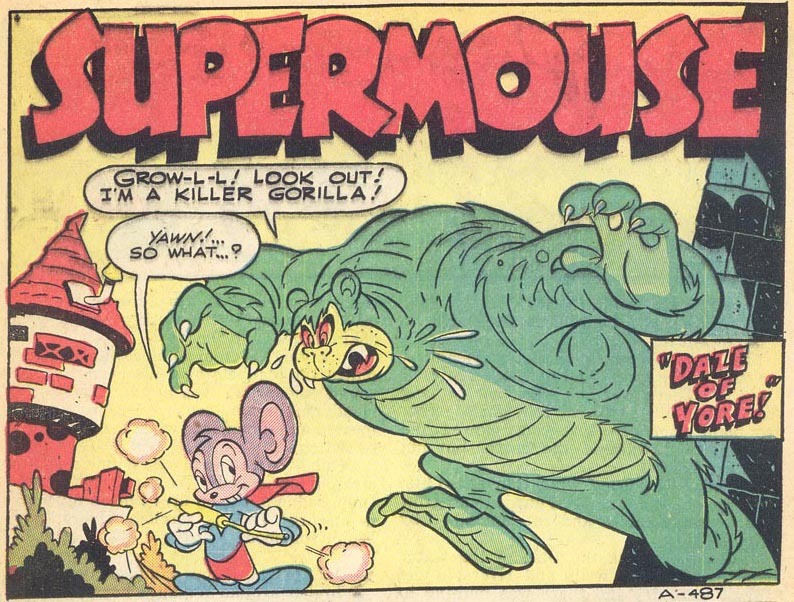 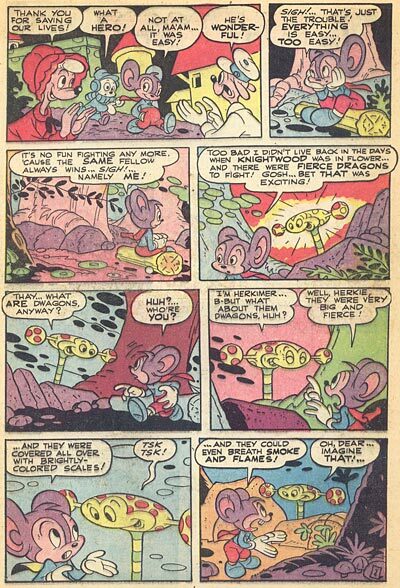 Here is Supermouse Comics number 4, drawn by Milt Stein. 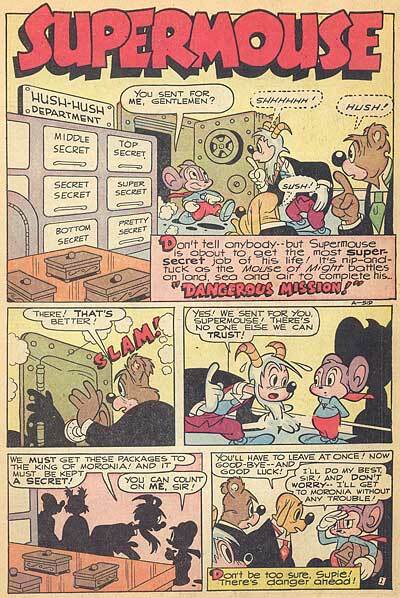 Little is known about Stein’s career. 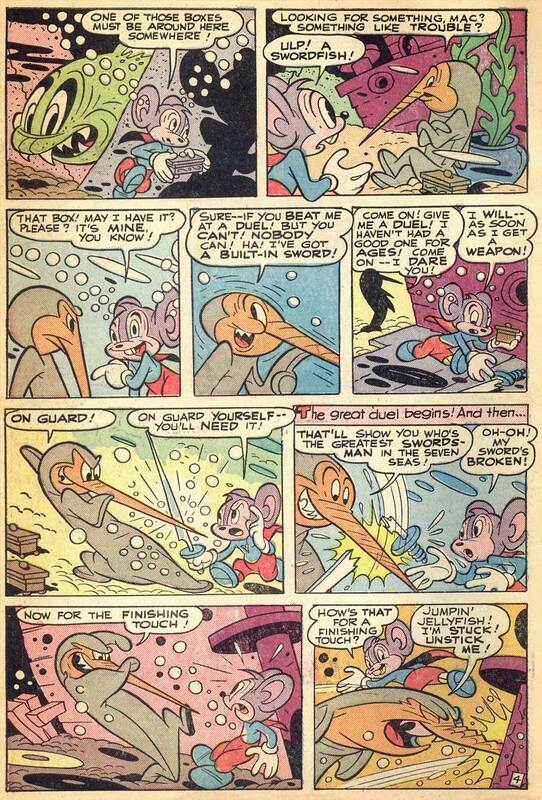 Tom Sito points out that he was an animator at Famous for a time, and he worked on Tubby the Tuba for Dr. Alexander Shure’s Westbury Long Island Company, the tradtional forerunner of NY Tech’s Computer Animation Program. He committed suicide in 1977. 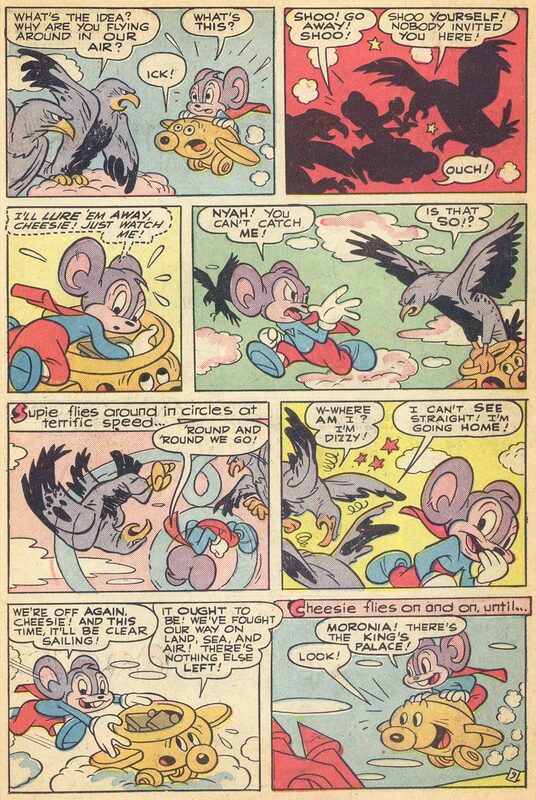 Milton Knight adds, that Stein "animated some very expressive scenes at Terry in the early 40s (the girl mouse puppet in Down With Cats). 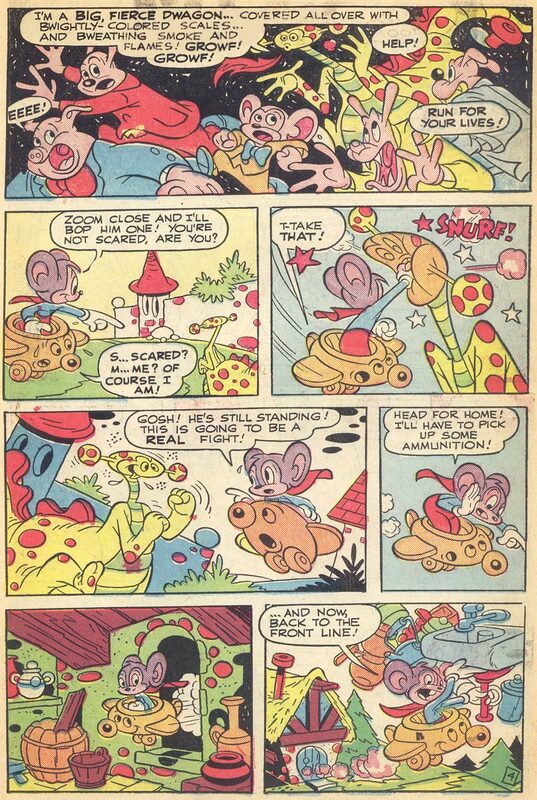 And in the 60s, he animated the humorous characters on an independent TV pilot that Jerry Beck likes to include in his “Worst” ASIFA shows, titled Cosmic Raymond. 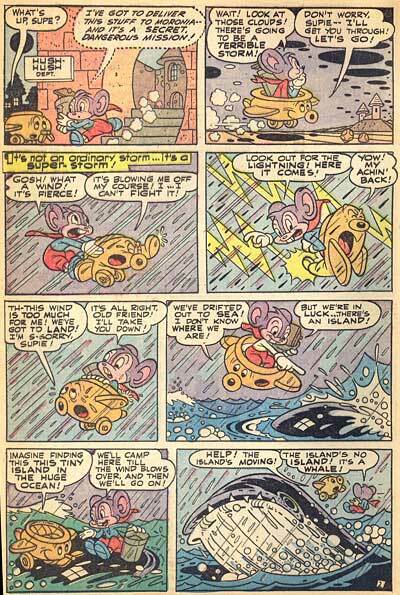 I think Stein was one of the most neglected artists of all time; and he drew far more imaginatively than Barks!" 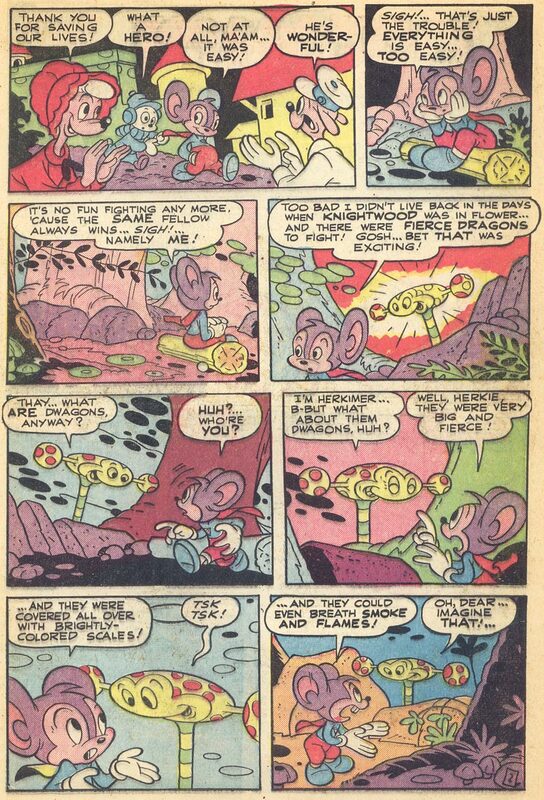 If anyone else with expertise in this area are reading, please post what you know about Stein into the comments field and I’ll add your info to this post too. This entry was posted on Friday, April 14th, 2017 at 12:50 PM	and is filed under comic book, milt stein.